A classic pair of round brilliant lab grown diamond stud earrings. Available options: platinum, 14k or 18k gold: white, yellow, rose. Each pair of Ada Diamonds earrings is custom made to order. 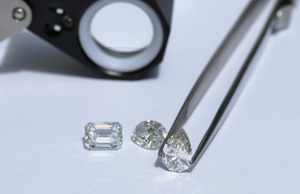 Our custom design process offers sophisticated guidance and curation from an approachable diamond expert. Free shipping and 30 day returns. Ada Diamonds Design Description- These classic stud earrings include a matched pair of round brilliant lab grown diamonds in 14k white, yellow or rose gold four prong baskets.